Yesterday, before the storm arrived, the sky was a pretty wild colour as a result of particulates and sand in the atmosphere. 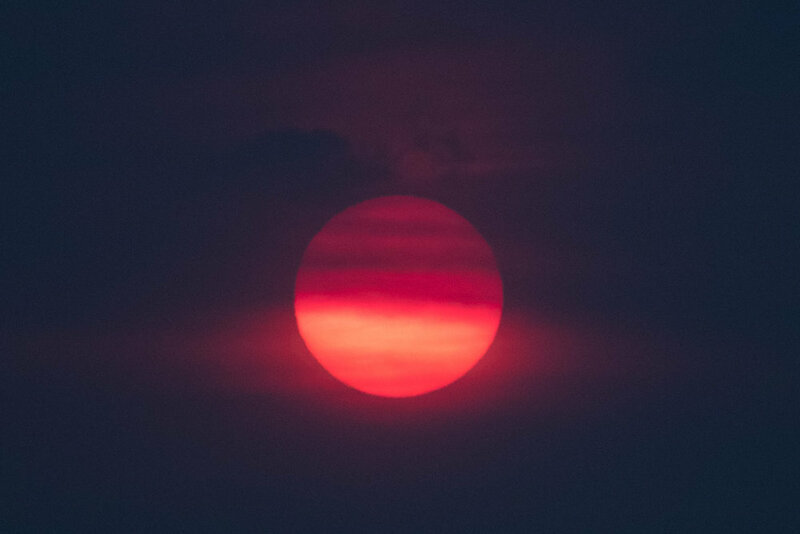 Social media was awash with shots of the orange sun. This was a quick shot that I grabbed out of the front room window just after sunrise. I almost deleted the picture as initially I didn't like it, but had a last minute change of mind and shared it on Instagram; where it proved to be the most popular photo I've posted for a while.... So I thought I'd share it here too.